You can us a modified PSU for charging car batteries. However a safety circuit is strongly recommended. The reverse battery protection avoids hazards. Modified ATX-PSU. How to modify is explained here. 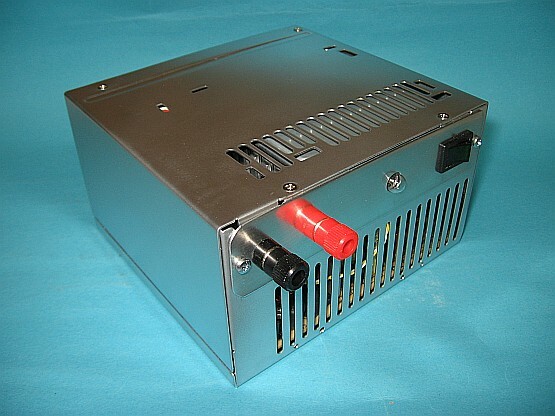 The first step is to modify an old AT- oder ATX-PSU in order to achieve an outputvoltage of 14.2 Volts. You cannot charge a 12 Volts car battery with 12 Volts. A car battery has to be charaged with 13.8 Volts to 14.4 Volts. A car bulb works as PTC thermistor and is limiting the current. The PSU should be able to serve 10 Amperes. A very easy solution ist a 50 Watts / 12 Volt car bulb for current limiting in series to the battery as it shown on the picture above. 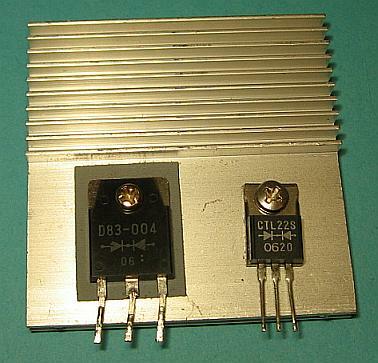 Why do you need the diode? Supposed the PSU is shut down, the voltage of the battery would flow into the PSU. Supposed the PSU is reverse connected. No current will flow through the diode. The red diode avoids a hazard if the car battery is reverse connected. Supposed the car battery is reverse connected. This would cause a short circuit in the PSU and destroys it. The red diode avoid this problem. The bulb glowes bright and indicates the mistake. As rectifier you can take those from a broken PSU.